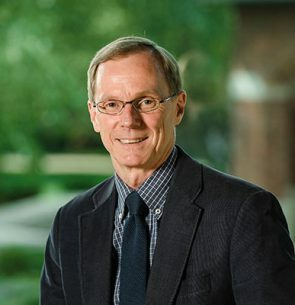 After graduation from Dallas Seminary (Th.M., 1984), John served 15 years in pastoral ministry before pursuing doctoral studies at Cambridge University (Ph.D., 2004). Upon completion of his degree, he joined the faculty of Dallas Theological Seminary where he served from 2004-2012 as an associate professor of Old Testament. Since 2012, he has been a professor of Old Testament at Grand Rapids Theological Seminary, teaching Hebrew exegesis, hermeneutics, and biblical theology. His research interests focus on the relevance of ancient Near Eastern background for understanding the Old Testament, particularly the function of prophets in the cultures surrounding ancient Israel. John has shared life for 37 years with his wife, Charlotte. They have a daughter and son-in-law living in Toronto. In addition to numerous articles, he has published Cultic Prophecy in the Psalms (de Gruyter, 2005) and Psalms for the Zondervan Illustrated Bible Background Commentary (Zondervan, 2009, 2013). To be released this fall from Baker Academic is Behind the Scenes of the Old Testament, a collection of 65 essays written by an international team of specialists, co-edited with Jonathan S. Greer and John H. Walton. He is currently finishing a monograph on Old Testament cosmology and the doctrine of accommodation. Scholars will be available to sign books, take pictures, or just network.